Big Rock Brewery is a Canadian brewery located in Calgary, Alberta. 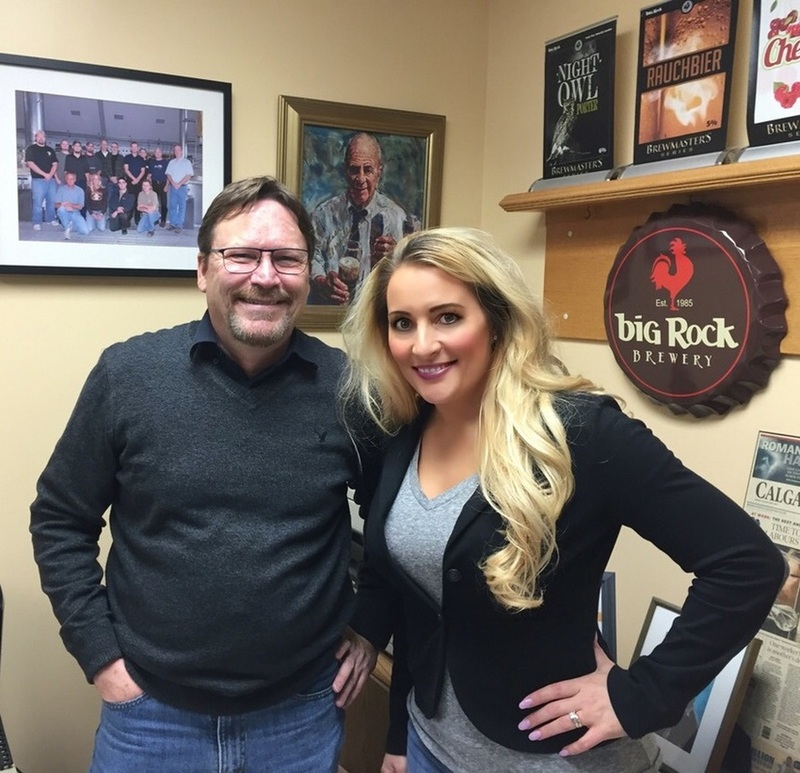 Big Rock distributes it’s products in Alberta and several other Canadian provinces. For those of you unfamiliar with Big Rock Brewery, a little background is in order. Big Rock was founded in 1985 and was the genius child of Mr. Ed McNally. Mr. McNally started his brewery at the youthful age of 60 out of both distaste for the lack of choices between beer A and beer B and a passion for taking the path of most resistance. Mr. McNally wanted to make beers that he would enjoy drinking, not necessarily concerned with what the mass population wanted. Selling craft beer in the 1980’s was unheard of, Ed started strong with three founding beers in his first year. Traditional Ale or Trad as us Albertans call it, was an instant hit. It’s said that when it comes to the other two well, Ed really liked them. 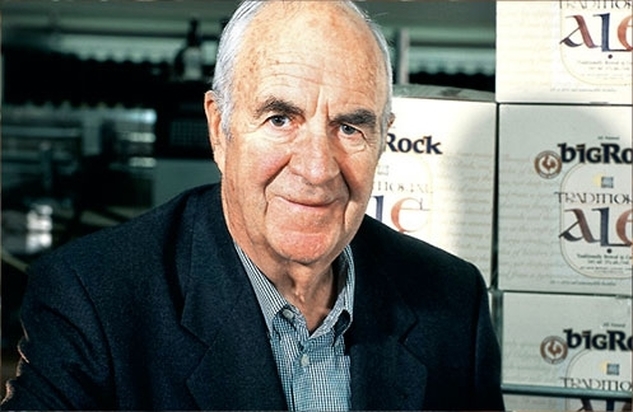 In my opinion, (and I’m sure many others would agree) Ed McNally was the founder of the Canadian craft beer movement! Back in 1999, I was waitressing at a restaurant bar in Calgary called The Drink. I noticed that the Oil & Gas lunch crowd had a habit of ordering the same beer everyday, Big Rock Grasshopper. A golden wheat ale which I was told to serve with a fresh lemon wedge. My curiosity grew and I knew I had to try this beer for myself. That was my very first taste of craft beer. After that summer I was hooked. 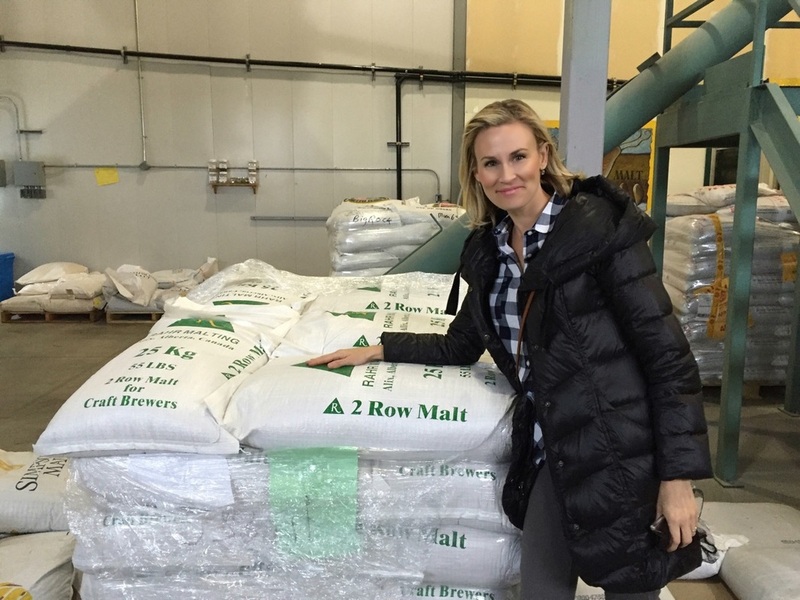 When Susanne Fox, Big Rocks Communications and PR Specialist invited me on a private tour of their brewery with the opportunity to meet their longtime Brewmaster Paul Gautreau, I was excited like a child on Christmas morning. My expectations were high; this was Canada’s largest craft brewery, the brewery that gave me my very first taste of craft beer and carried with it some personal family history for my husband. My husband spent some of his formable childhood years living on Ed’s farm in Okotoks Alberta, during the years which he founded Big Rock Brewery. I met the beautiful and extremely knowledgeable Susanne at reception trying desperately to hide my giddiness and excitement. Susanne personally guided me through the brewery, starting first in the brewing room where the magic happens. The shiny tanks were lined up in perfect rows all standing at attention looking ready for inspection. Susanne then led me into their barrel room, which was hiding behind a large pull down door. 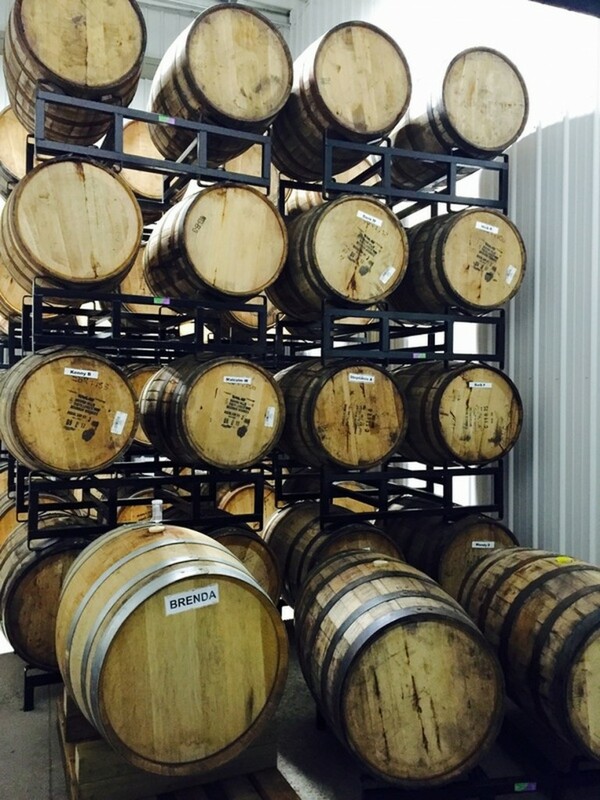 I could tell Susanne was passionate about their specialty beers as she guided me around rows of beautiful wooden barrels storing aging beers all soaking in flavors of the barrel’s predecessors which smelled of Whiskey and cedar. Each barrel was labeled with the names of Big Rocks employees, giving Brewmaster Paul better control and organization over the aging process of each barrel. Smart. We ran into Paul on the brewing floor. This man had beer genius oozing from his pores. Paul and Susanne brought me up a flight of stairs putting us up at the height of their tanks. While we were up there a quality control specialist was busy doing her work. She was thoroughly inspecting some tubing where you could see the beer flowing through a glass opening. Paul could tell I was intrigued by her work and informed me that at Big Rock they have been brewing beer the same way for the past 30 years. As I looked around I really began to appreciate the work that is put into running such a large craft brewery the ‘old fashioned way’. It’s worth mentioning that Big Rock started their own brewing garden, growing their own hops and even running their own apiary. They are able to utilize their hops and honey in some of their brews and hope to eventually use 100% of their own honey in their popular Honey Brown Lager. 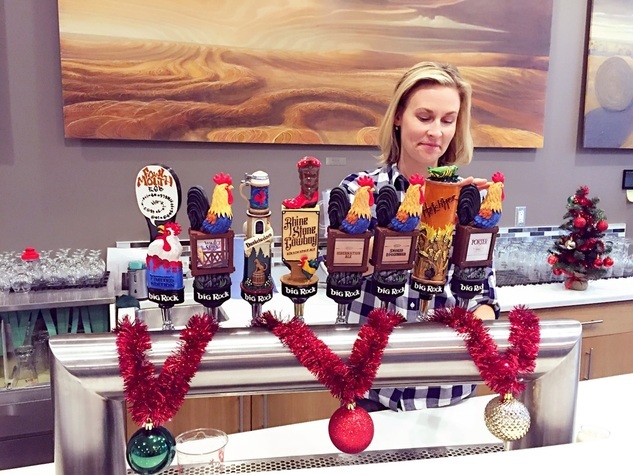 As a proud supporter of local farmers they use local ingredients whenever possible and many of their beers are brewed with 100% local ingredients. Interesting notes, on average Big Rock uses more than 4,000 metric tonnes of Alberta grown barley. And their spent grain from the brewing process goes to local Alberta farmers and is used as feed. Before leaving us Brewmaster Paul was very keen to talk about their exciting new project, Lambic Beers which will be featured in their very own spontaneous fermentation room that is still under construction! Having never tried Lambic before, Paul suggested I try some Lambic from Belgium which is where this type of beer originated. They apparently are quite complex with sour, tart and sweet notes. I cannot wait for Paul’s Lambic to be ready. From the hop room we toured their expansive packaging and bottling building, which featured the largest bottling line I’ve ever seen. Most of their employees had left for the day leaving the floor much quieter than what I’m sure is the norm. After Paul left us Susanne guided me into one of her favorite rooms in the brewery, the hop room! If there is one thing I wish I could share with you all it’s the aroma of this room. The walls were lined with boxes and bags filled with hops from all over the world. Each one with a distinctive aroma and flavor. 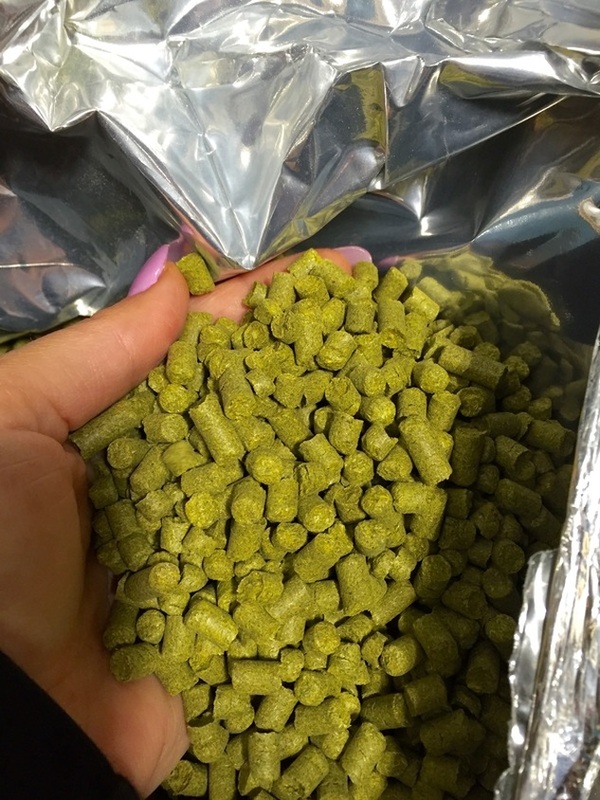 If I was a Brewer, my favorite part would be choosing complementary groupings of hops for each brew. After breathing in the aroma of many hops I choose the Motueka Hop from New Zealand as my favorite, there was something intoxicating about this one. 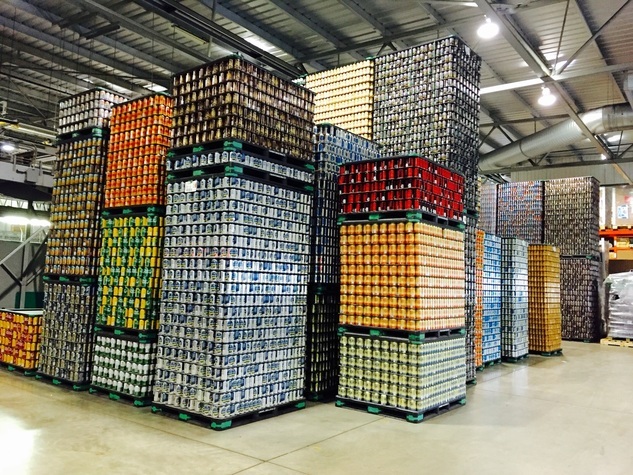 We then walked through their pallet rooms which held rows upon rows of Big Rock product both bottled and canned destined for stores across Canada (As far as Ontario, where they have a brewery opening up soon in Toronto). Sampling – The Big Rock Tour Highlight! To top off the tour Susanne invited me to sample some beers in their tasting room. And I thought the day couldn’t get any better. I was able to sample some Big Rock favorites like Fowl Mouth IPA, Winter Spice Ale, Dunkelweizen, Smoked Roggenbier, Porter (my personal favorite) Cascadian, SAAZ and some Big Rock cider. We had to stop quickly in their keg room on the way out which was quite a sight. 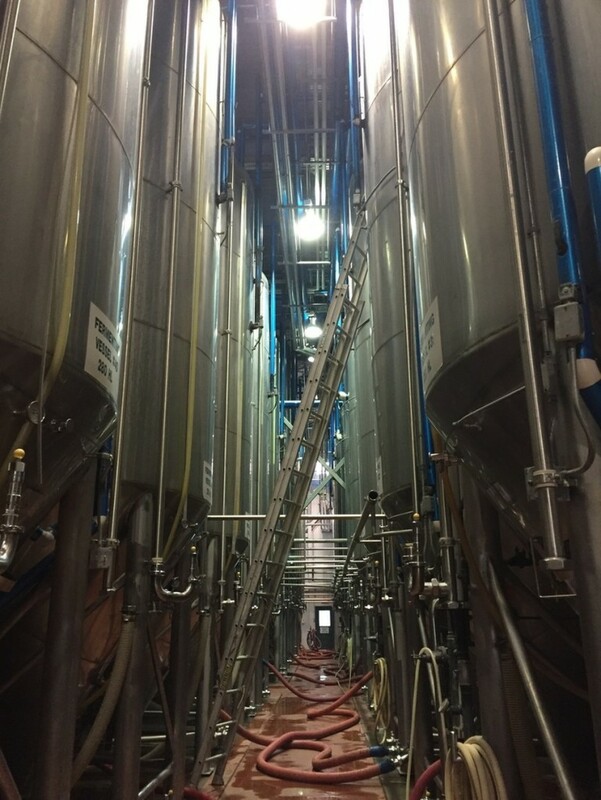 My ending thoughts on my Big Rock experience are simple, It is possible to be Canada’s largest purveyor of craft beer and to keep the quality and taste of a small local brewpub. Big Rock brews some phenomenal beers, I suggest you start with their originals and try to get your hands on one of their Dark Cherry Abbey Ales around for a limited time. Viewer discretion is advised for coarse language.